For 8 – 11 year olds. 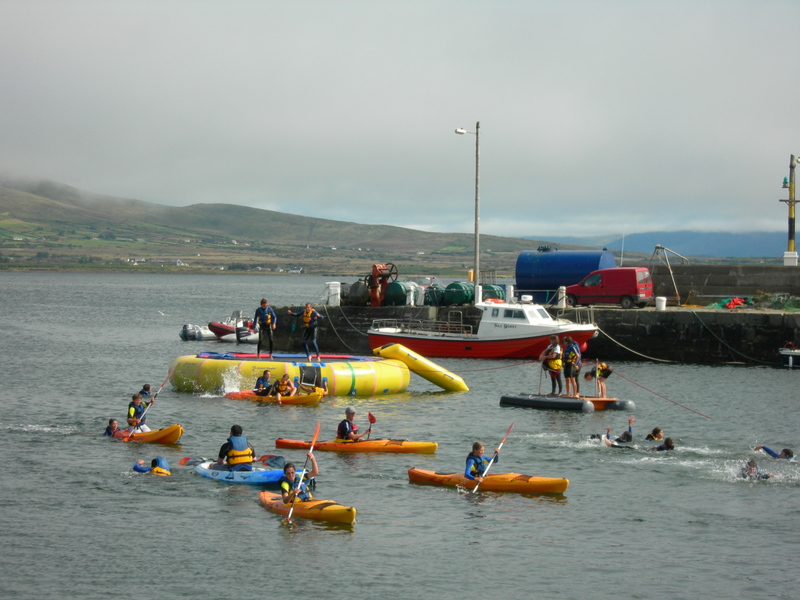 A Summer Sailing Camp with lots of fun and games in the perfectly safe Valentia Harbour. This is often the first introduction to sailing for Children and they gain knowledge and confidence in the water in a very safe environment. The children get introduced to the basic skills of ropes, rigging and sailing. 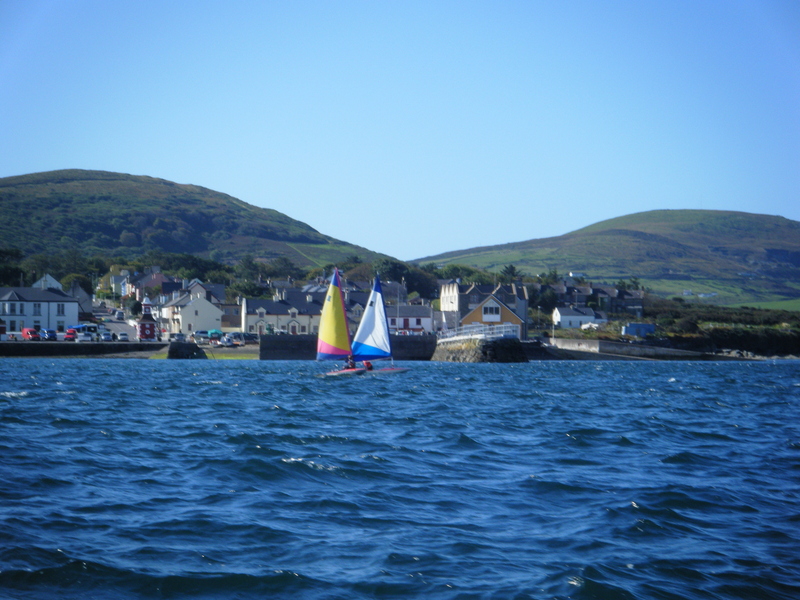 They get to go sailing with the instructors, and depending on the weather sail to Begnish Island, and get to handle the sail dinghy under the direct supervision of an experienced sailor. 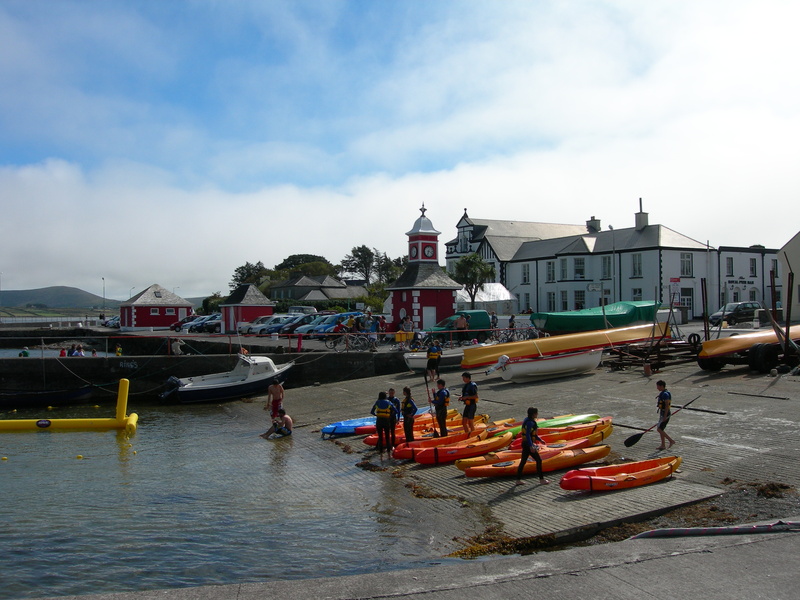 While the emphasis is on sailing we also do some kayaking, and Water Trampolining with the group. 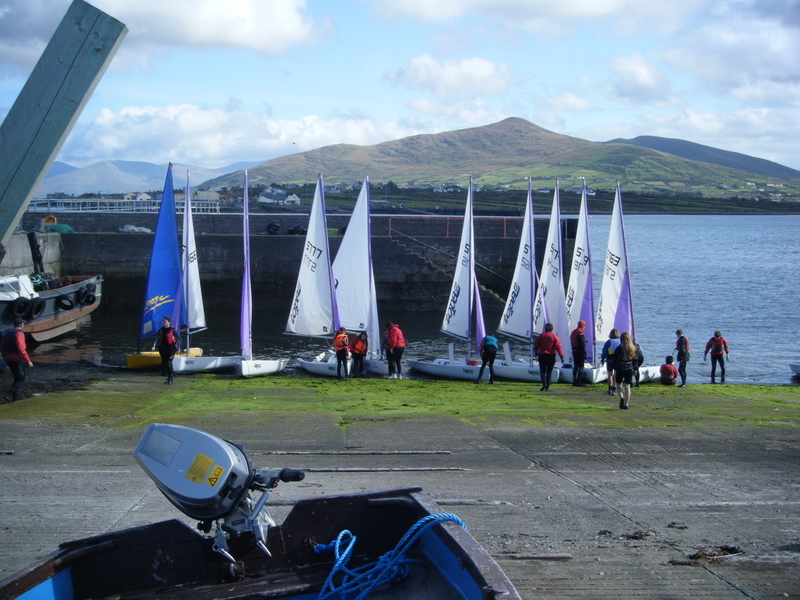 These sailing camps are small, with no more than 12 children per camp, and with such small classes they fill up fast.